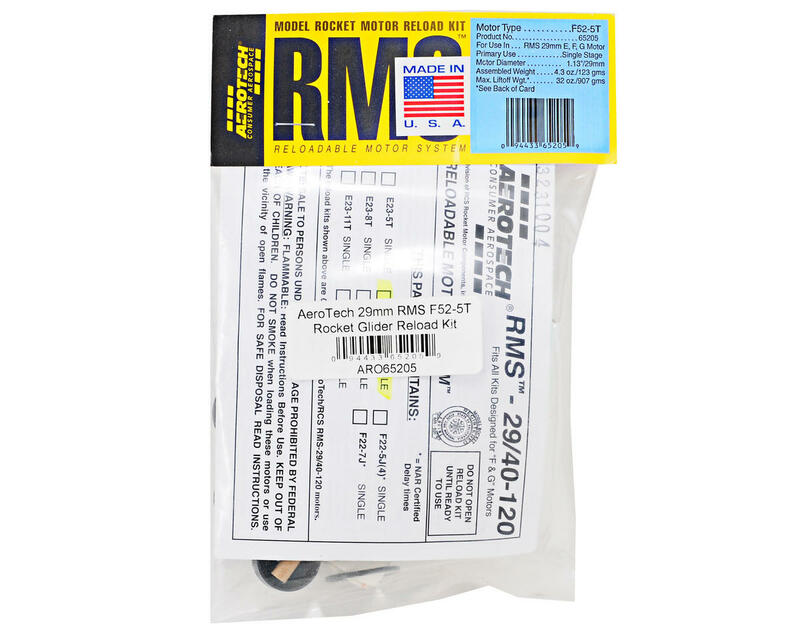 This is an AeroTech 29mm RMS F52-5T Rocket Motor Reload Kit, and is intended for use in RMS 29/40-120 F-Class motor cases. 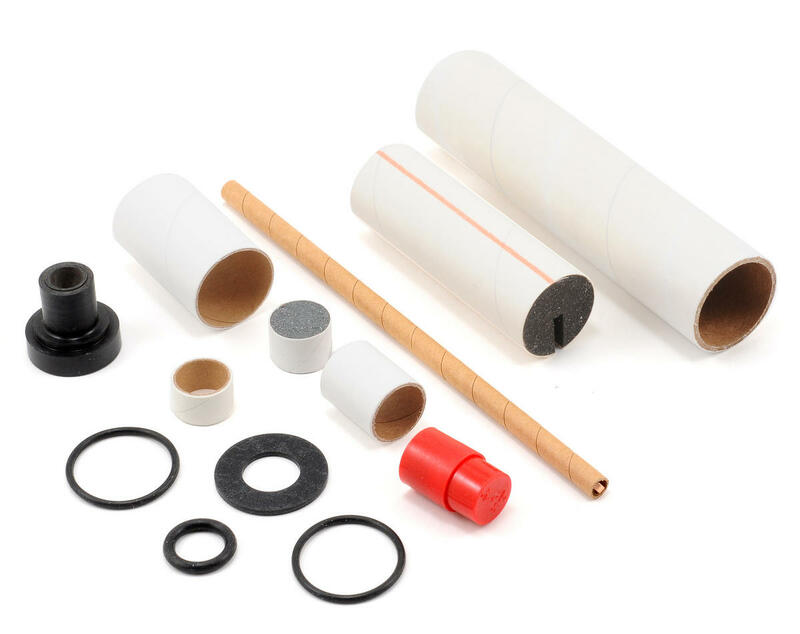 This reload kit is only compatible with AeroTech Reloadable System (RMS) Hardware and includes all the components needed for one re-load. AeroTech’s unique and patented Reloadable Motor System (RMS) model rocket motors deliver D, E, F, and G power at the lowest per flight cost available in hobby rocketry! Motor Effects; Blue Thunder™ (T): Produces a bright violet-blue flame with a minimum of exhaust smoke. These motors provide a higher level of thrust than White Lightning or Black Jack motors of the same total impulse. Blue Thunder is the perfect propellant for high lift-off acceleration.